Explosions. Flashing lights. Terry Crews. Walking through the South Hall doors was a mixture of surreal and pure adrenaline. Activision on my left and Microsoft on my right. And of course, Terry Crews on the big screen shouting BOOM in his Crackdown 3 spot. Aside from the masses of industry members and fans, the entire spectacle of E3 is stupidly incredible. I expected to be blinded and deafened by loudspeakers blaring trailers and projected logos and lasers darting around the show floor. I expected the lines and the waiting and the buffet of games to choose from. But I underestimated the scope. The sheer magnitude of scale these booths take up. Microsoft had rows and rows of 4K tvs showcasing dozens of titles that were showcased in the lead up. Activision had a giant theater surrounded by pods featuring their tentpoles Destiny and Call of Duty. Bethesda built a diner for Wolfenstein. Sega created a small alley based on Yakuza 6’s Kamurocho. Warner Bros. brought a dragon for Shadow of War. Capcom not only brought a dragon (a Rathlos) for Mondter Hunter they brought Ultron for Marvel vs Capcom. And then there was Nintendo. Nintendo had a reputation for having some of the most involved booths at the show. But they went out and created Super Mario Odyssey’s New Donk City. If the rest of E3 is super-sized, Nintendo brought along a few Mega Mushrooms. Take notes. Written, recorded, mental. There is a ton of stuff to note about a demo’s experience from technical execution to whether or not a game brings something new to the table. It’s important to temper expectations when going through a demo. These are, after all, vertical slices for products that are months away from final build. There are a ton of demos out there, most of them for the biggest of games. But there are also a lot of smaller demos to be had peppered across the floor in both their own and the mega booths. They are video games, after all. This is, effectively, the Mecca of gaming events. Through a little bit of stubbornness and a whole lot of coercing my partner in crime, I have found my way to what might be the piece de resistance of my gaming coverage career. Microsoft’s teraflop pushing powerhouse the Xbox One X is here. As will Sony touting their 60 million PS4s sold to date. Nintendo won’t quit with their surprisingly robust Switch. And that’s just the major players. As always we will heed the Call of Duty, experience all the Final of Fantasies, let our lightsabers do the talking on the Battlefront and witness the Gran Forza of racing. E3 might be shifting with the times, especially selling public badges. But this is certainly not the prophetic doom that some may feel is coming. It all starts here. In more ways than one. To say that Japanese game development has been a letdown would be underselling it. The once bastion of brilliant original games had become lost in mediocrity, reliving exhausted tropes and dated mechanics. Games stuck in development purgatory as they never seemed to fully grasp how to actually build a game in a world filled with ballooning budgets, massive sales expectations and technology that managed to make the once thoughtful and artistic look dull and boring. Rather than take risks, Japan became a nation filled with companies who were afraid to gamble, afraid to put themselves out there to recapture the illustrious magic that brought us all into gaming in the first place. With smart phones and tablets threatening to kill the home console we have seen names like Capcom teeter on the brink of oblivion, Konami give up on console development and Square Enix look west. But then a trend developed. Brave developers soldiered on without their companies. Keiji Inafune brought Comcept to the forefront with Mighty No. 9. Koji Igarashi smashed through crowd-funding ceilings with Bloodstained: Ritual of the Night. And Sony brought life to the classics that made Japan the Mecca of gaming. The Last Guardian. Final Fantasy VII. Shenmue III. Three vastly unique games, each with their own story of development turmoil. One mired in mystery and cryptic messages, with many wondering if it would ever see the light of day. Another a standout classic of one of the most famed franchises of all time. And the last the concluding chapter to a game that the entire world had written off. It was a simple, calculated move that ended up being a perfect storm for Sony. One that Microsoft never saw coming. The tone was set early today with Microsoft’s frenetic whirlwind of a E3 presentation that had many feeling invigorated by their renewed focus on core gaming. They hit as hard as they could with refined peripherals, backwards compatibility, not to mention a pair of Xbox standards in Halo 5 and Gears 4. But Sony didn’t even blink. They managed to trot out the games that everybody knew about in No Man’s Sky and Uncharted 4. They turned a few heads with Horizon: Zero Dawn. But by recommitting to Japanese development, they are going back to what made the PS2 a standout purchase. We are still a ways off to see how these investments pay off with The Last Guardian due next year and no solid date for the Final Fantasy VII remake. Shenmue III, while a glorious undertaking, will need to pass the public barometer of Kickstarter (a place where it is currently blowing past records) and is projected to release no earlier than 2017. But the proof is out there that Sony is supporting these projects openly. 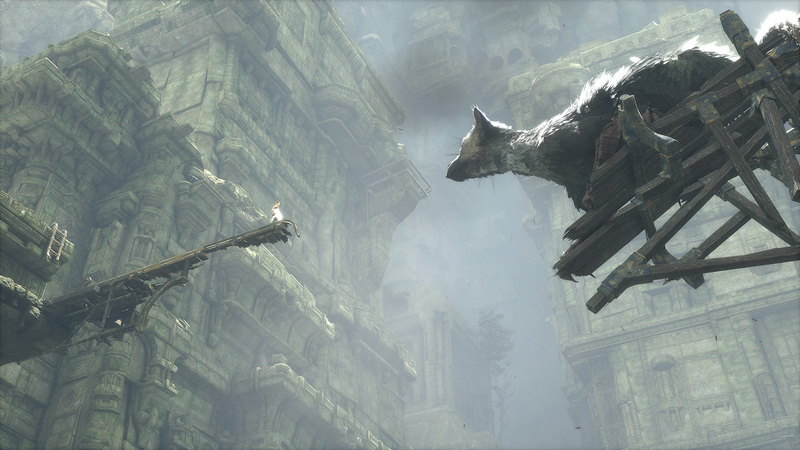 The Last Guardian is an in-house exclusive. Final Fantasy VII will arrive first on the PlayStation 4, as will Shenmue III when its development finally concludes. Pair Sony’s bombshell announcements with their support of Street Fighter V and the pending releases of Metal Gear Solid V, Final Fantasy XV, the Kickstarter projects of Mighty No. 9 and Bloodstained and all of the work Nintendo is doing, it appears that Japan has finally recaptured the magic . Super Smash Bros. is getting another pair of combatants in the form of Ryu from Street Fighter and Roy from Fire Emblem. The news of the pairs addition had been leaked yesterday after the update was mistakenly made available and introduction videos were mined out of the information. This also stands in line with a leak in April after theme songs were found in a 3DS update to Super Smash Bros. Ryu and Roy are available now in the form of DLC for both the Wii U and 3DS versions of the game. Nintendo made the announcement as part of a Super Smash Bros. related video that they uploaded as part of their constant stream of E3 related coverage. 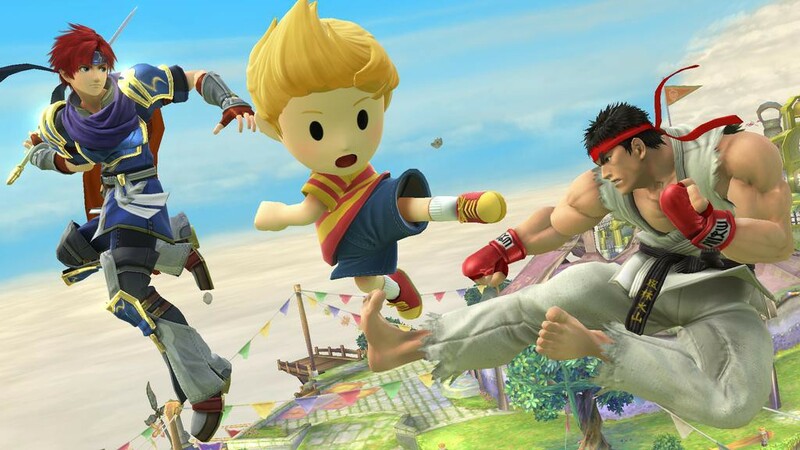 Ryu is making his Smash debut while Roy is returning after his lone appearance in Super Smash Bros. Melee. Ryu’s moveset will be updated to the more simplistic Smash controls and he will surely have his Hadoken and Shoryuken in his arsenal. Roy’s flame sword will return as he joins the crowded sword-based fighters of the Fire Emblem series. Ryu will also be receiving a Smash remixed version of his classic Suzaku Castle stage along with remixed music based on his theme as well as the theme of his lifelong friend and rival Ken. The update also includes a slew of costumes to the customizable Mii Fighters including Mega Man, Isabelle from Animal Crossing, Splatoon’s Inklings and Heihachi Mishima from Tekken. Roy and the previously announced Lucas are available now for $3.99 each or for $4.99 each for versions on both the Wii U and 3DS. Ryu will be packaged with his Suzaku Castle stage and will be priced at $5.99 for a single version or $6.99 for both versions. The next entry in the cult favorite first person parkour inspired action series Mirror’s Edge will be named Mirror’s Edge Catalyst and will not be a sequel to the 2008 original. Confirmed by an announcement made by Electronic Arts following the leaked trademark filing for Mirror’s Edge Catalyst, DICE producer Sara Jannson confirmed the title and the relation of the 2016 game to its predecessor. 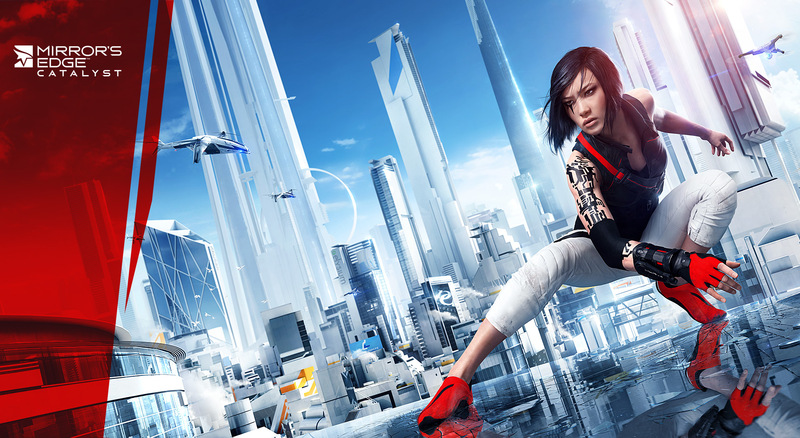 The use of the subtitle Catalyst confirms much of the speculation that this Mirror’s Edge game would be a prequel, especially based on the E3 2013 trailer that showed series protagonist Faith getting her trademark digital tattoos on her arm along with developer statements focusing the game on the building blocks that made Faith. I think that a prequel is the right way to go because of the way that the original Mirror’s Edge unfolded, especially with the fairly open ending that had Faith and her sister Kate on the run from the government’s Project Icarus. While we know where Faith ended up and are curious about her next chapter, explaining her origin is just as interesting. Faith, as a character was one of the more beloved identities of last generation, despite only appearing in one game where not much is known about her background. The idea of her becoming a runner, to becoming a part of the counter culture that essentially rebelled against the government’s constant surveillance is a story that can bring new audiences up to speed with the world and potentially set the tone for a true follow up to Mirror’s Edge. Mirror’s Edge Catalyst has been targeted for an early 2016 release on PlayStation 4, Xbox One and Windows PC. 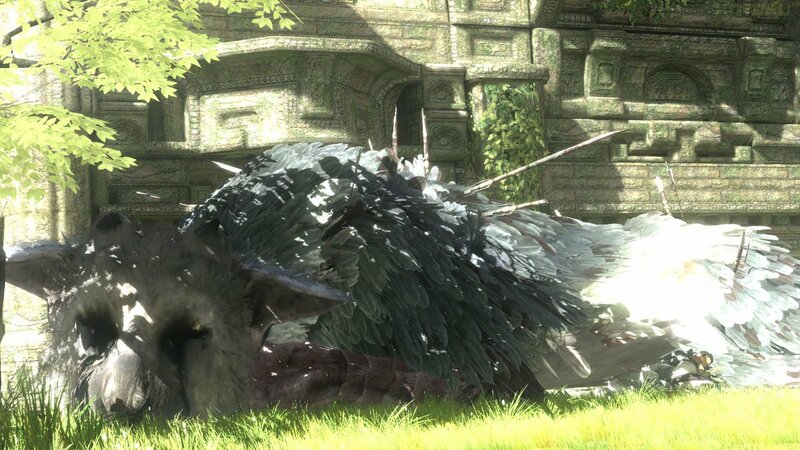 Rumor has it that Sony’s Japan Studio will they/won’t they project The Last Guardian will be making an appearance at this year’s Electronic Entertainment Expo according to a report issued by The Guardian. I’m going to stop the actual reporting there because, honestly, there is nothing to report here. The Last Guardian’s tumultuous history is incredibly well documented, so much so that Sony had let the trademark of the game lapse twice. Trademark deadline mishaps aside, while many want Japan Studio’s follow up to Ico and Shadow of the Colossus to be an amazing fantasy epic, they are unfortunately at the mercy of rumors and leaks. They may want to take their time in developing a game that could be amazing, but keep in mind the conceptual work of The Last Guardian began in the PlayStation 2 era. We are well beyond the point in time that Japan Studio can ignore the outside noise and remain hidden in the dark on The Last Guardian. All we really know is that the game was supposed to come out on the PlayStation 3, it has a boy, it has a griffin, it is kinda shiny. Or maybe those statements are all “was” statements. I guess we’ll find out in a week.